Click HERE for a printable order form (requires Acrobat Reader), or add the prices together and pay with Paypal, or a credit card via email. There are no extra shipping or handling charges for US addresses. For foreign postage costs, please email me for a quote. Just add up the listed prices and send your payment to the address below. There are no bogus extra charges for "handling", or additional postage cost for U.S. mailing. If you want to order several manuals, inquire before sending payment. I may be able to save you a dollar or two (or more) by using a Priority Mail Flat Rate envelope or box if the manuals weigh enough (over 13 ounces). First Class U.S. postage is included in all pricing (a few include priority mail, due to weight). I only use media mail for bulk orders, or with orders that have manuals which would be very expensive to send as first class or priority mail (e.g. US manuals that are 8.5 x 11"). Worldwide sales are welcome, but please contact me for a quote for additional postage costs. Extra postage costs will only be the difference between what I would spend on U.S. postage, and the actual postage cost to you. Due to the latest changes in post office rules, U.S. postage to some countries is NOT reasonable for small orders ($23.50 for a $10 manual). To save on postage, I suggest several friends get together and combine what they want in one order. I can now accept credit card payments directly. You can email your card information to John@German<REMOVE THIS>manuals.com Take out the <REMOVE THIS> from the email address. I have to post it this way or I get a bunch of spam emails from computers that look for emails on websites. Payments by a personal or business check will wait to clear before shipment, money orders ship immediately. Western Union payments are also accepted, but they are expensive for the buyer. I feel that the ability to pay through PayPal is a necessary evil. I dislike Paypal because of their anti-gun politics, but I understand that there may be no other easy way for you to make a payment. 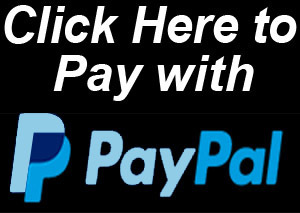 My email address for Paypal is: John@German<REMOVE THIS>manuals.com Make checks and money orders payable to "John Baum". Please be sure to put "German manuals" as the subject in your emails to attract my attention in case your email is sent to my Spam folder instead of my Inbox. If you'd like to find out what's in the works next or if a particular manual is planned, please send me an email. If you have a manual you're willing to share with everyone else, please let me know. Your email address will never be sold, traded, or used for any other purpose than to reply to your questions and orders. I don't maintain email addresses for sending you unsolicited email later, unless you request to know when a particular manual has been translated. If you're looking for a manual to satisfy a specific need, please ask me to recommend the best manual. Sometimes the information you're looking for may not be in a manual I have, and I'll tell you that. I'd rather not sell a manual than have an unsatisfied buyer. I've had people email with specific requests for a manual that I don't have. In some cases, I've been able to find an original manual to meet their needs, or a sometimes a photocopy. If you're looking for something specific, let me know and I'll see what I can do. I have sources for many manuals that have such a limited interest that I don't buy them, and don't plan on translating them because of the amount of time it would take to sell only a few copies. I also buy and sell on eBay as RM21H3G, with 1,400+ positive feedbacks. so you'll receive your order as quickly as possible. site, so if you have the time, please let me know. can't receive a reply without giving me a correct email address. Credit cards, personal or business checks, money orders, and Paypal are accepted for U.S. orders. Your credit card information can be sent to me via email. 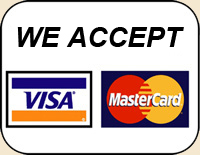 Paypal, Western Union, or credit cards are accepted for foreign orders. email address. Make checks or money orders payable to: John Baum. If you want several manuals (usually more than 5 = over 13 ounces), a discount on postage may be available based on weight. overpayment will be returned to your Paypal account or in your package of manuals.